Kinetic sand is a great material to use to work on fine motor skills. It also works great for building with like these kinetic sand potato heads or this kinetic sand rainbow. But you can also use kinetic sand to build spiders! 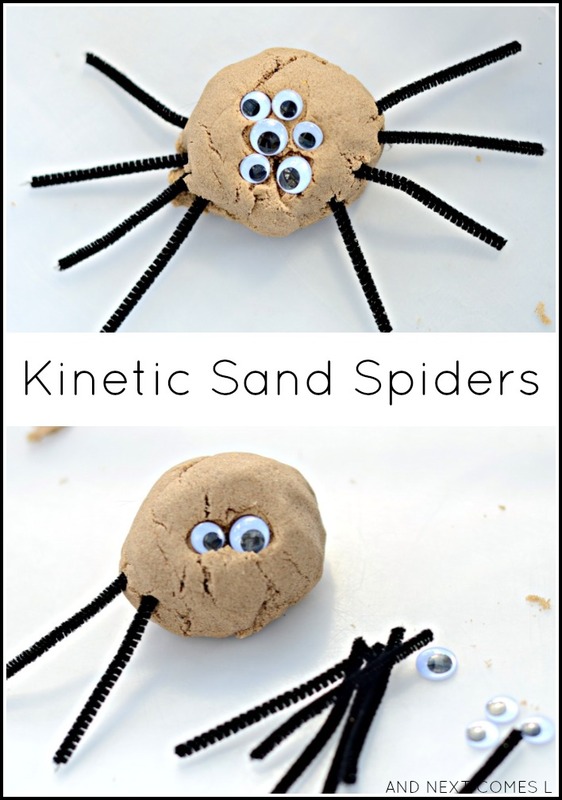 These kinetic sand spiders make a great fine motor sensory activity for toddlers and preschoolers and uses materials that you likely already have on hand, making this activity a great no-prep boredom buster. Or if you just want a great Halloween activity for kids, then give this idea a try! Kinetic Sand Activity for Kids: Make Spiders! Kinetic sand - This sparkly black kinetic sand would be ideal for this activity! Roll the kinetic sand into a large ball. Then simply let the kids decorate with pipe cleaner legs and googly eyes. Press too hard and the ball of kinetic sand may break apart so remind your kids to press the materials in gently. 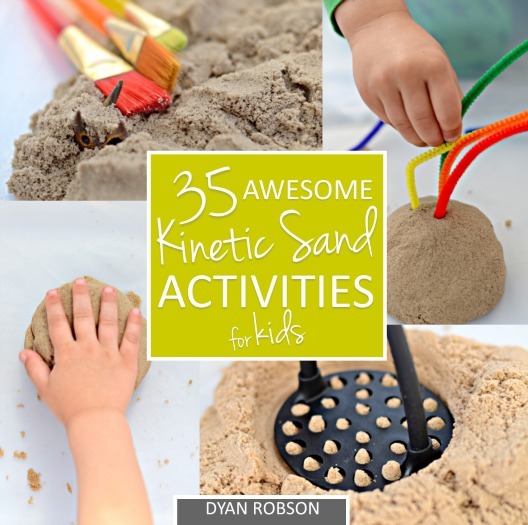 Don't forget to check out my kinetic sand book for more great ideas!